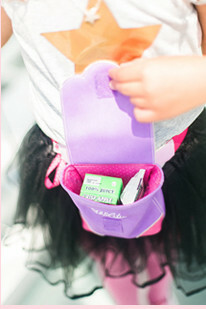 The HipCity Sak is a fashionable and fun hands-free bag that helps little girls on-the-go (ages 4+) carry their own small items (in a fun and easy way) so their parents don’t have to! 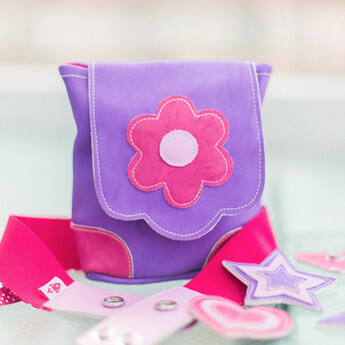 These adorable bags promote independence and accessories, like the mermaid, inspire girls to always express themselves. And the best part: They are fun because everything is interchangeable. Just snap on to belt. The HipCity Sak fits young girls who are size 5-10 and retails for $24.99 online and comes with a bag and a belt. Fashionable. Beautiful colors in designs girls love! And made of soft vegan leather, with a 100% polyurethane outer shell. Fun. 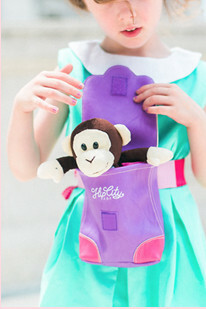 All bags and accessories are interchangeable and just snap on to the belt. Girls love to express themselves, collect them and trade them with their friends.